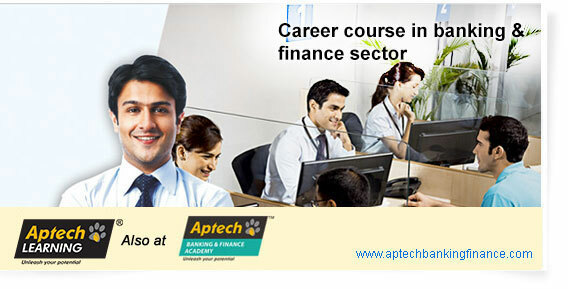 Aptech Banking & Finance Academy is the BFSI education arm of Aptech. Through its wide network of centres, Aptech trains students to take advantage of career opportunities in the dynamic banking & finance industry. According to a report published by the National Skill Development Corporation (NSDC), about 14 lakh people are likely to be employed in the Indian banking industry by 2022. With the rising use of technology in banking & finance, recruiters look for professionals with technological skills along with specific functional competencies. Aptech's courses help students build skills for the modern-day banking & financial industry and avail emerging career opportunities in these segments. This course aims to help students prepare for a career in the banking industry. The course trains students for career opportunities in the finance sector, with hands-on training from experts at Geojit BNP Paribas. Also prepare for exams conducted by NISM. The course focuses in preparing students for careers in the equity & stock market sector. Also to prepare for NCFM Capital Market (Dealer) Module exam, conducted by the National Stock Exchange (NSE). The course prepares students for careers in financial sales. The students also get trained to convert financial deals & engage customers.